This is the perfect ID collar for your indoor kitty. 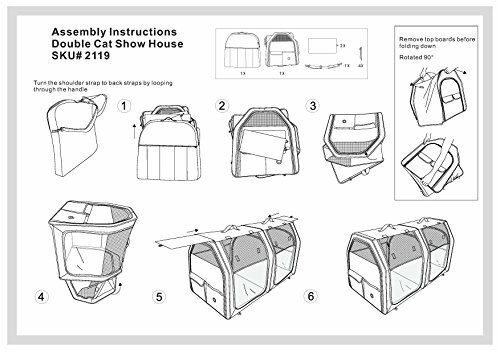 The Kitty Convict Project is designed to keep indoor kitties safe by identifying them with a recognizable collar in case of escape outdoors. 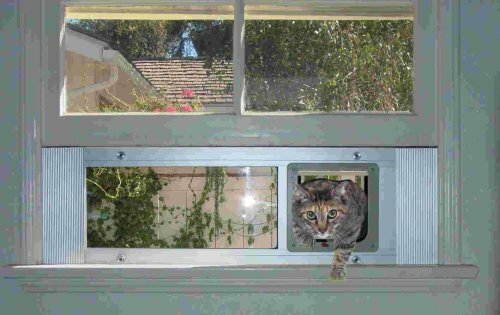 Finders will know that your kitty doesn't belong outside! This is a high-quality orange cat collar with a safety breakaway buckle. The orange collar is reflective and easy to see in different light conditions, to aid in searching in case kitty escapes. The orange collar is also meant to be a recognizable symbol of an indoor cat that has escaped -- the orange color of a convict. 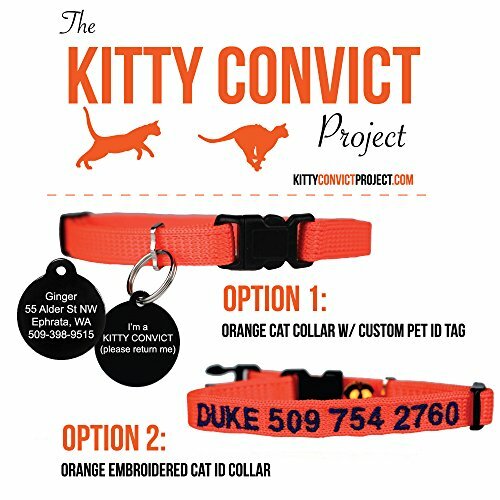 There are two affordable options with the Kitty Convict ID collar. You can get an embroidered collar with custom text of your cat's name and your phone number. The other option is an unembroidered collar with custom text including your cat's name and your contact information on one side. The other side of the tag indicates that the wearer is a "Kitty Convict" that needs to be returned home. 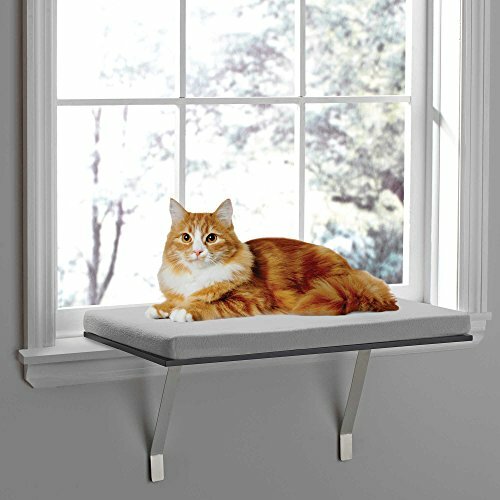 This collar is a great extra protection for you and your indoor cat in case kitty ever escapes.